Today in Masonic History Nathan Mayer Rothschild passes away in 1836. 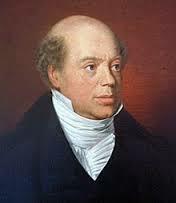 Nathan Mayer Rothschild is a German banker and businessman. Rothschild was born on September 16th, 1777 in Frankfurt, Germany. At the age of 21, he would settle in Manchester, England. There he would establish a textile trading and financing company. In 1804, he would move to London, England to begin trading on the London Stock Exchange. Starting in 1809, Rothschild began to deal in gold bullion. In 1811, he would negotiate a deal to begin paying Wellington's troops as they fought Napolean in Portugal and Spain. It was claimed that Rothschild had agents monitoring the battle at Waterloo and that the agents brought word back to him in England before anyone else had the news. The claim was that Rothschild used the information to manipulate the market to make his fortune. The claim has many holes in it and many feel that it was made up. The original story appeared in a 1846 French anti-semitic pamphlet and was expanded on further by several other sources. One of the bigger issues with the claim was that Rothschild made One Million Pounds from the information, the bond market on the London Exchange at the time could not have supported such a gain. In 1818, Rothschild would be elevated to the noble status of baron (Freiherr), although he would choose never to use his title. Also in 1818, Rothschild would make a 5 million Pound load to the Prussian government. Rothschild was an abolishionist and used his financial position to end the slave trade. In 2009, a claim was made that Rothschild in dealing with a plantation owner used slave's as collateral. This was denied by the still existing Rothschild bank. In part they would say Rothschild had been a prominent civil liberties campaigner with many like-minded associates and "against this background, these allegations appear inconsistent and misrepresent the ethos of the man and his business." Rothschild would pass away from an infected abscess. At the time of his passing, he had a personal net worth of 0.62% of the British national income. Rothschild was a memberof Emulation Lodge No. 12 in London, England.